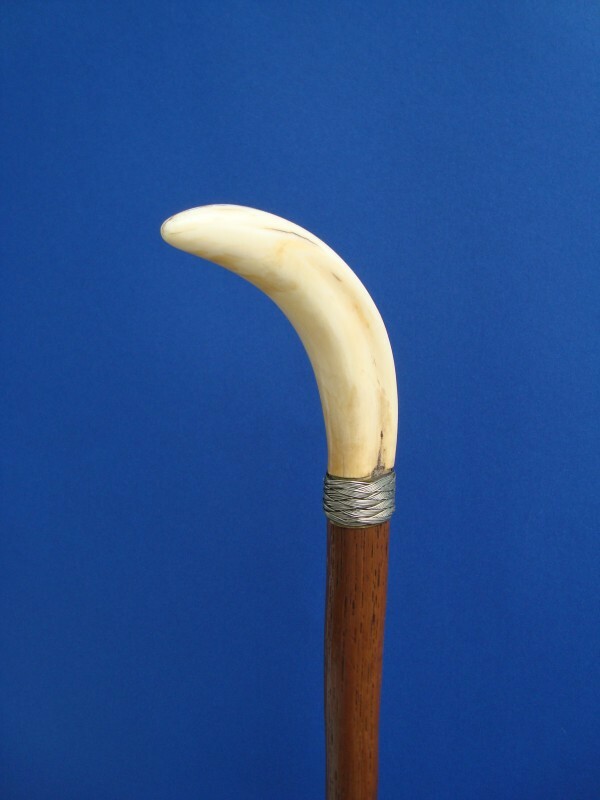 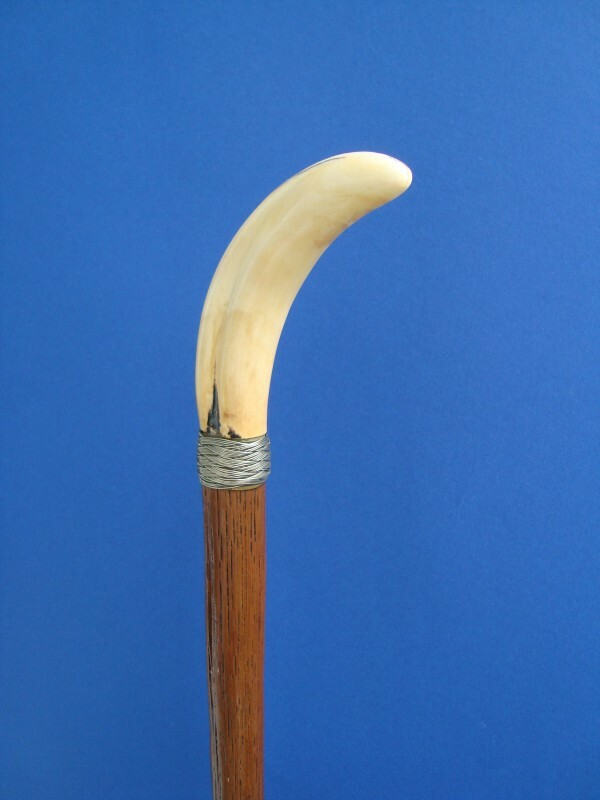 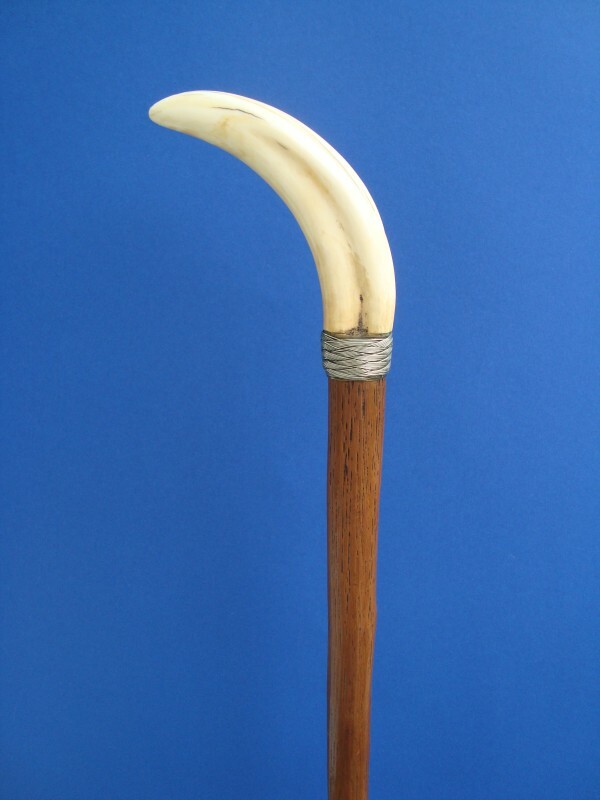 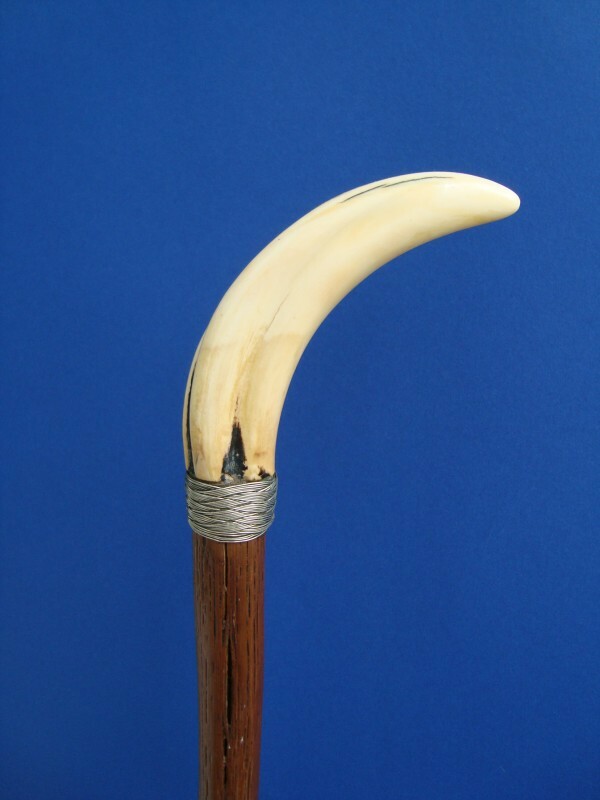 Walking cane with a teeth of a warthog around 1900. 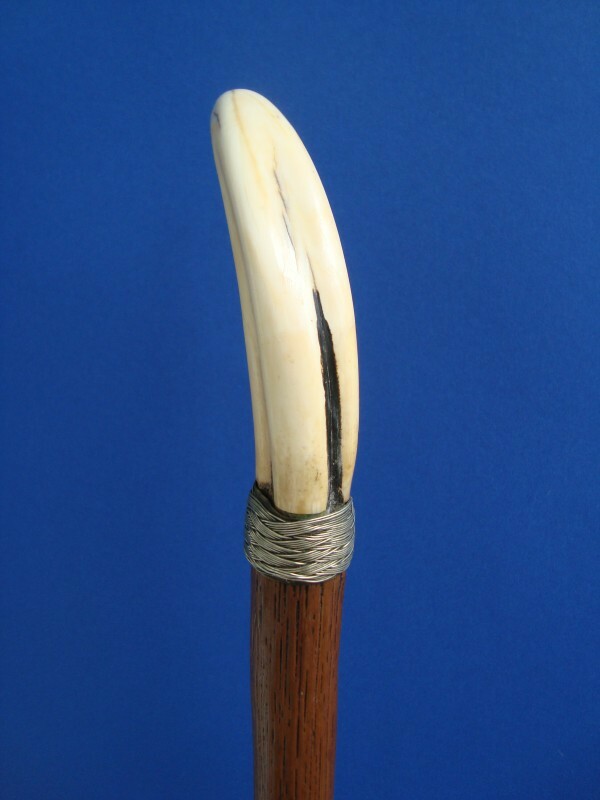 The teeth is fitted on a twisted silver collar and a oak shaft with a long nickel ferrule. 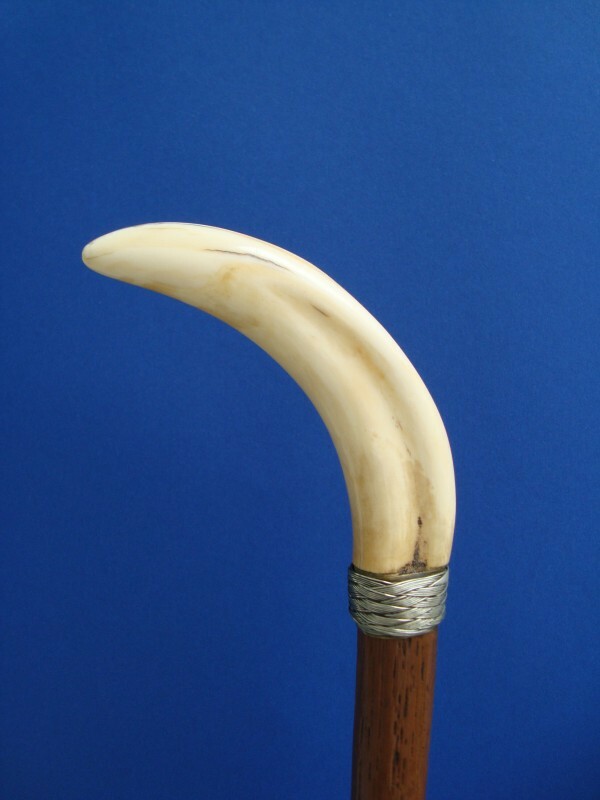 Measures of the teeth: H. 3,9" W. 4,3", overall length 36".